We are so excited about these trays with "Easy Out" feature because there is nothing like it in the industry! The front edge of each compartment is rounded so beads, stones or findings can be retrieved easily. Each tray features a slide lid which cannot flip open if dropped. 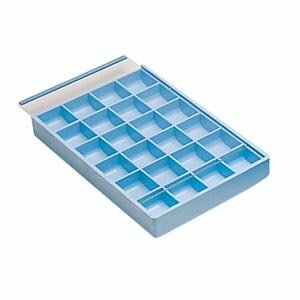 Excellent trays for anything you want to store.